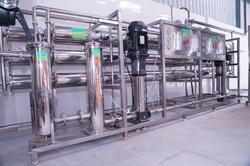 Our company has gained expertise in the manufacturing and supplying of Reverse Osmosis Units. 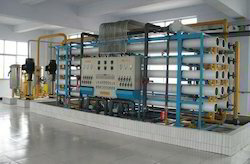 The desalination core process is based on Reverse Osmosis Membrane technology, but stand alone, it doesn't provide safe drinking water, nor does it guarantee an efficient plant. We are among the pioneering suppliers and retailers of a wide range of Water Treatment Products. Our comprehensive range is characterized by convenient operations and is widely used in households and commercial set UPS. The Top lance technology integrates a variety of functions which expand the metallurgical and operational capabilities of plants. Different lance configurations enable the use of various media for multiple functions.